We are pleased to announce that our Printable Tickets and Ticket Scanning add-ons are now available for Event Espresso 4 (EE4). These add-on platforms bring event managers and organizers even more autonomy and power to setup their own registration system. Why spend hours checking-in attendees at the door with a piece of paper or spreadsheet? 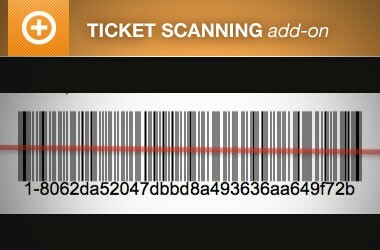 The Ticket Scanning add-on for EE4 is great for controlling access to your events by generating a barcode for each ticket and validating tickets by scanning it at the door. Your audience can bring the barcode on paper or in electronic format to be checked-in and it only takes seconds. Integrates in real-time with the attendee list in Event Espresso 4. Faster check-in process for you and attendees, saving you both time and money. Allows for multiple check-in “stations”. Eg. use multiple barcode scanners to log into to the same attendee list so employees can scan tickets at multiple different locations. Potentially paper-less events which simplifies the process and reduces costs. Better tracking because human error is removed the the check-in process and a registration record is kept for all attendees. Barcodes can be scanned with a USB or Bluetooth barcode scanner, or the number can be entered manually. Supports code39, code93, code128, and datamatrix barcode types. 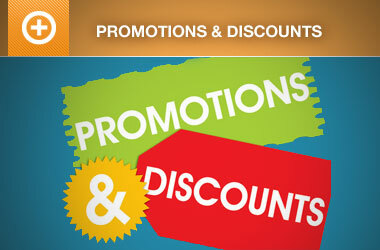 Makes your organization very official and innovative. Purchase the EE4 Ticket Scanning add-on. Find a USB Barcode Scanner or Bluetooth Barcode Scanner. It is important that you know the differences between barcode scanners before making a barcode scanner purchase. We have confirmed that the some of the less expensive laser scanners cannot scan codes that are on mobile phone screens. If you plan on allowing attendees to display tickets on their mobile devices, you may need to purchase a CCD barcode scanner. Give attendees custom-designed printable tickets for each event to keep as a souvenir, serve as a place to sell advertising and more. 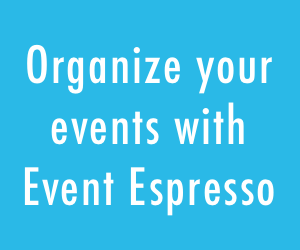 Event Espresso’s customizable and printable tickets can make your organization look smart, capable, entertaining, and prepared. In addition to the Advanced Printable Tickets where you can change the default ticket, Customized Printable Tickets from Event Espresso will let you create custom ticket designs for each event separately. Smart phone enabled to help keep your events green. 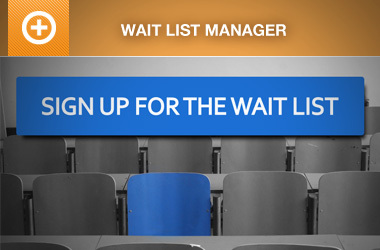 Attendees can display the ticket on any smart phone capable of displaying a web page or PDF. Digital and printed tickets can display dynamically generated barcodes, QR Codes and/or a Globally Recognized Avatar (Gravatar). 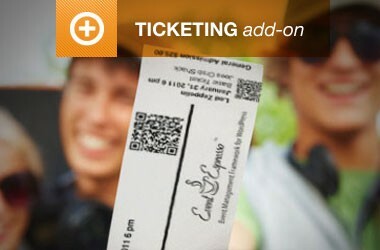 Learn more about adding dynamically generated, custom QR Codes to your tickets. Barcodes can be scanned at the door. Perfect for verifying and storing additional data for every attendee. Purchase the EE4 Printable Tickets add-on. Check out our post, “18 Things Your Boss Expects You to Know About EE4 Ticketing” to find out more about this great new feature. Can you add these to my account. Were were using both these plug-ins with EE3. Can you explain how the barcode scanning works in better detail? What are the hardware requirements, how do you get an accept/deny confirmation, etc.? Cool stuff, but i’m also curious about why they’ve swapped out scanning with mobile devices to bar code scanners. That was the whole reason we purchased EE3. Maybe this feature will be added to EE4 in the future? Mobile device scanning might be available in the future, but it does require a API for EE4 which does not exist. However, you can use hand-held scanners on mobile devices too. Hi Garth, the ticket scanner its working with Turnstile Reader Barcode. I would like to install an access control without having someone to hold the scanner. I’m glad the ticket scanner is working well for you. Can you describe what you mean by “install an access control without having someone to hold the scanner.”? I can see this conversation getting lengthy, so I would suggest that you contact our support team on the forums or by email at support@eventespresso.com so we can talk about this in greater detail.